How To Make A Small Water Garden Or Fish Pond « Adafruit Industries – Makers, hackers, artists, designers and engineers! Adding a small pond is one of the best things I ever did for my garden. With the addition of fresh, flowing water, it immediately became the central, neighborhood hangout for all of the wild things—birds, bees, butterflies, insects, and more—that are essential for pollination and the overall health of a garden. Plus, a water feature is simply beautiful. Small container ponds or water features are quite simple to set up and easy to maintain. 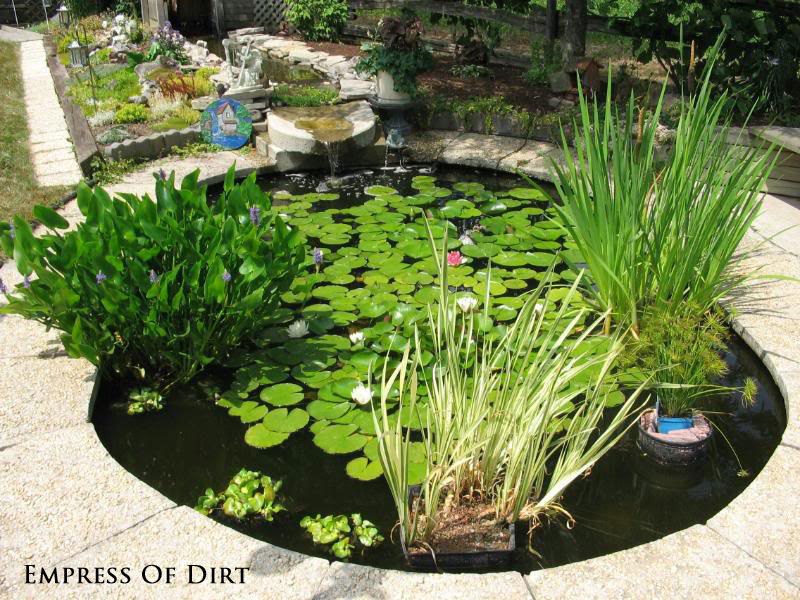 I will walk you through the basics to give you an idea of what is involved so you can decide which style of pond would be best for your garden.